Ajnabee is a 2001 Indian Bollywood crime, thriller, suspense film released on Sep 22, 2001. The film is directed by Abbas-Mustan, produced by Vijay Galani. 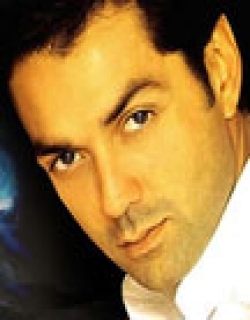 Raj Malhotra (Bobby Deol) and Priya (Kareena Kapoor) are a couple who reside in Switzerland next to an Indian couple Vikram Bajaj (Akshay Kumar) and Sonia (Bipasha Basu). One fine day, Raj finds himself in Sonia's house who is later murdered. Who is the guilty? Raj Malhotra (Bobby Deol) and Priya (Kareena Kapoor) happen to meet by chance and fall in love, then they decided to marry with Priya's father's (Dalip Tahil) wish. After their marriage they decided to go and reside in Switzerland, a country which they thought was perfect for them. Here they met another Indian couple and there neighbor Vikram (Akshay Kumar) alias Vicky Bajaj and Sonia (Bipasha Basu), they met and quickly became friends and decided to go on a Christmas vacation to Mauritius, all was well there, until Vikram began to speak to Raj about wife swapping which upsets Raj and a fight breaks out between the two, breaking up the friendship and leads them back to there destination. A couple of days after, the two couples again became friends where on Vicky's birthday all two men were drunk and found themselves in each others house the next morning only to know that Sonia is murdered. Raj is accused of this, while in court he manages to escape from there and the swiss police are after him. Then when he decides to confront Vikram he finds the evidence to prove his innocence and also win back his love. -- Check out this page for more updates on Ajnabee. This page provides latest and updated information about Ajnabee (2001) movie which released on Sep 22, 2001. Ajnabee (2001) is directed by , produced by , starring .We have also provided 8 trailers and videos, 5 photos, 40 user reviews, and 0 critic reviews.Ajnabee (2001) has received 2.9 rating from user reviews.The overall rating of Ajnabee (2001) is 58 and movie is 2.9.Ajnabee (2001) has won 0.001 crore awards.You can review, like, dislike this movie and also can add to favorites. You can also find information on showtimes, CDs, DVDs, online rental, online free watching.